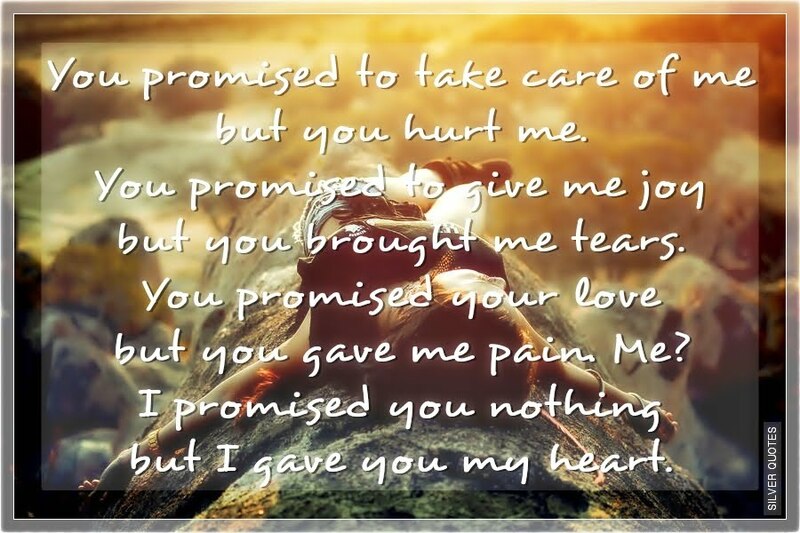 You promised to take care of me but you hurt me. You promised to give me joy but you brought me tears. You promised your love but you gave me pain. Me? I promised you nothing but I gave you my heart.